Map domain name from GoDaddy to Amazon EC2 instance. 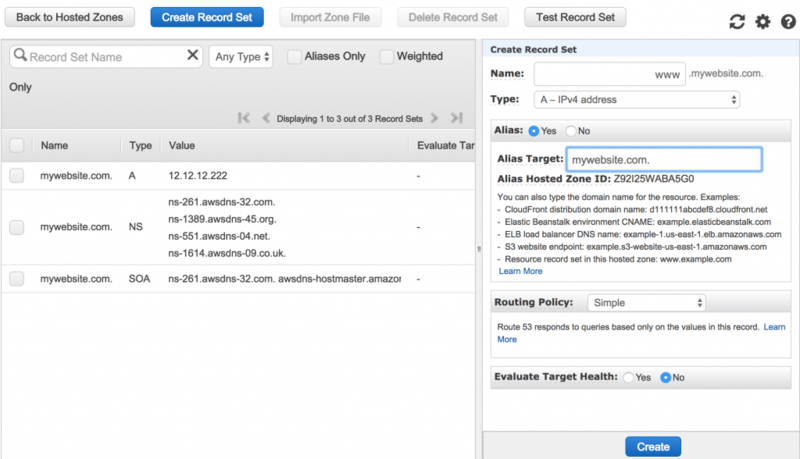 If you want to associate your domain name with Amazon EC2 instance for which provider is different than Amazon Route 53 like GoDaddy, BlueHost etc.The easiest way is to do IP address forwarding where you just forward the incoming requests to Elastic IP provided by Amazon, however, the drawback of this approach is that there will always be an extra redirect and a forward.A better approach is to amend the registrar (where you bought the domain name) with Amazon NameSpace servers details. 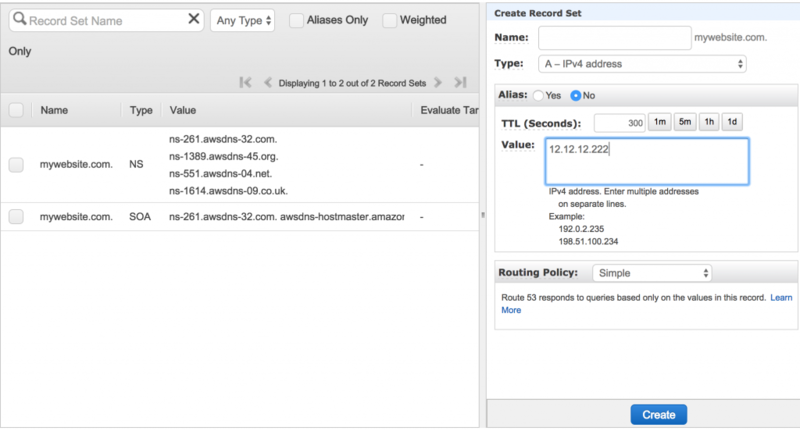 The first thing you need to do is get an Elastic IP, the instance IP can change during reboot etc but elastic IP are static IP’s so you should make sure you create one of them and assign it your running instance.More detailed info can be found here. 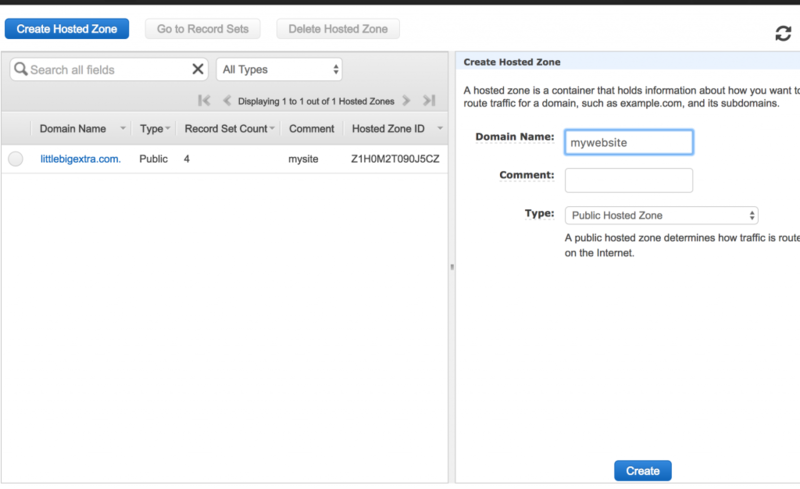 Click on Hosted Zones and create a hosted zone. Give the domain name you have bought, make sure that you don’t add www. to it. Select type as Public Hosted Zone. You should see something like below on your screen, Name Space servers, usually there are 4 different entries.Make note of these as you need them in the last step. In name field type www. 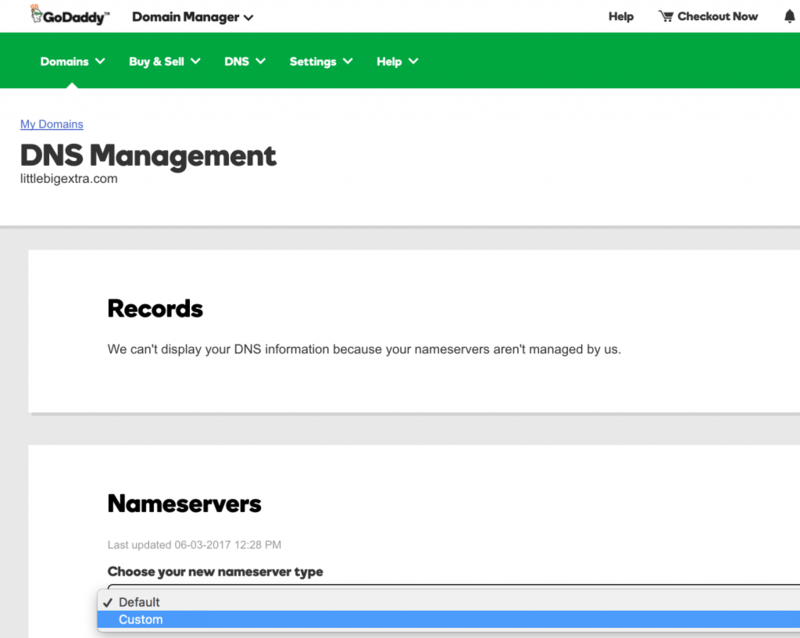 Now go to GoDaddy domain console and under my domains, click on settings. Change the Namespace servers (you should see 2 servers name) from default to custom. Add all the 4 namespace servers you got in STEP 4, add them one by one. Save it and wait for a couple of minutes. Type your domain name in the browser and you should be redirected to your website. My www does not resolve. I’ve tried this a ton of different ways. Did you see the video on you tube ? I followed the steps as described, but it’s not working. Does it take time? How do I trouble shoot? No, it should be quick.